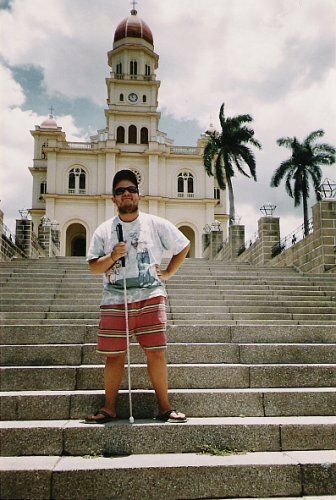 In front of El Cobre church, Santiago de Cuba. 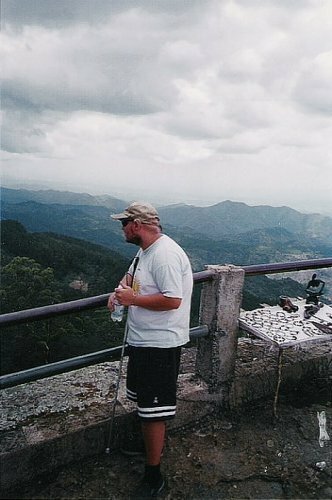 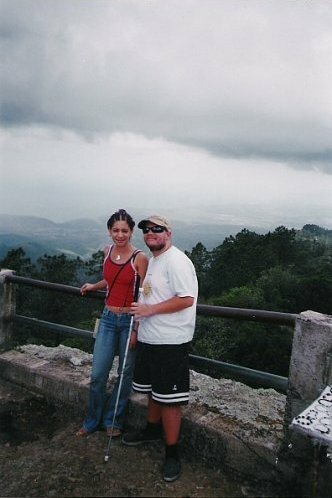 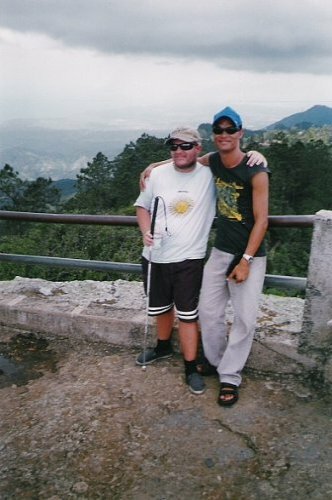 In the mountains near Santiago de Cuba. 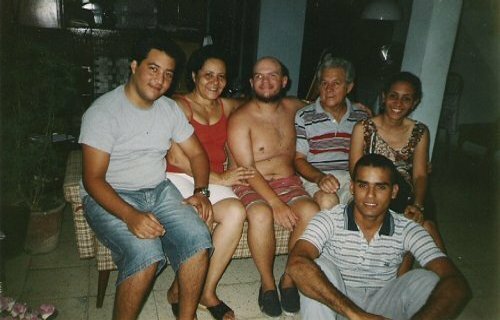 With Manrique’s family. 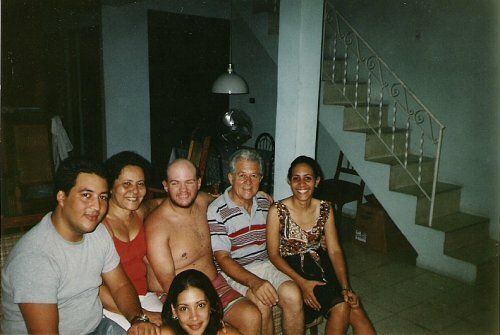 Left to right: Manrique, Iuia, Tony, Manrique’s father, Jaimi and Jesus. 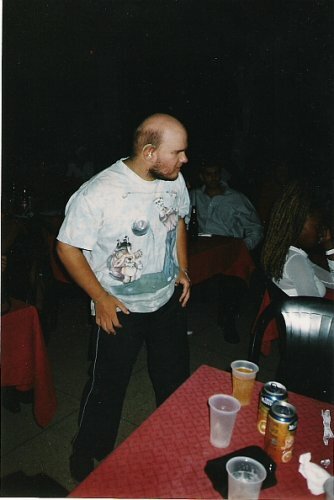 San Pedro del Mar night club, Santiago de Cuba. 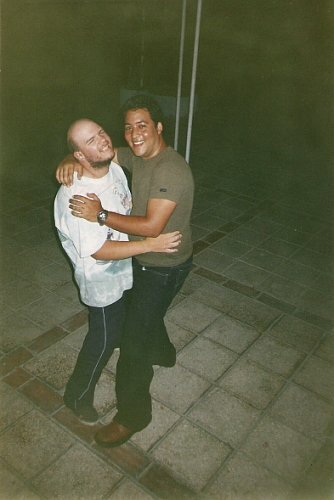 Dancing with Glensy and Manrique at San Pedro del Mar night club. 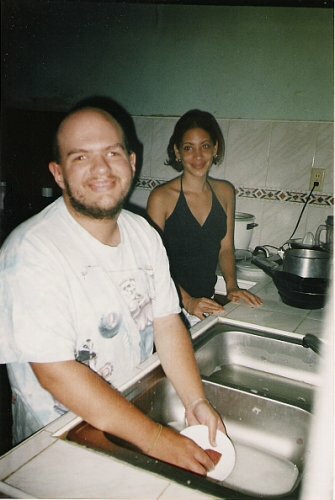 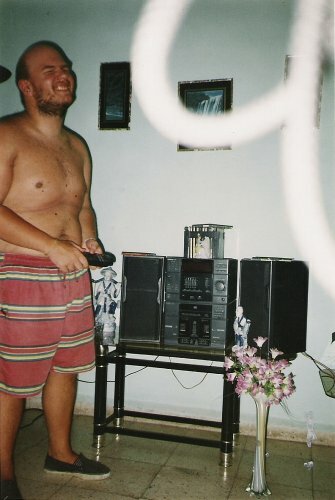 Washing dishes at Manrique’s house.